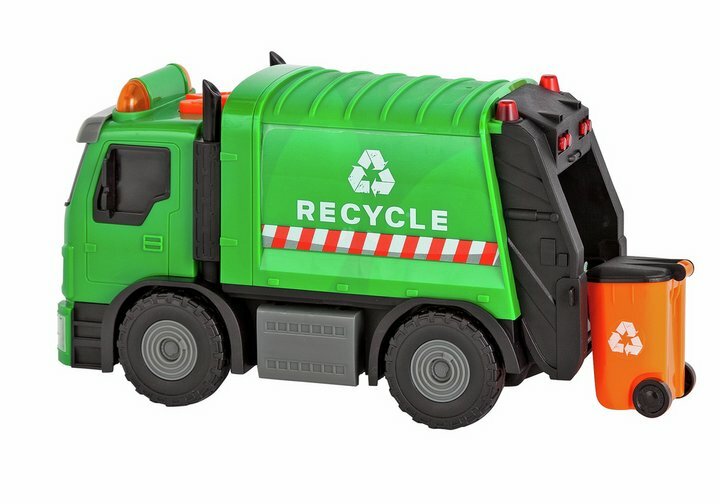 Your little one will thoroughly enjoy playing with this Chad Valley Road Rippers Garbage Truck. Authentically designed, this eleven (11) inch garbage truck is sure to become a firm favourite of your most cherished. Forward drive, eye catching flashing lights and experience enhancing music all at the touch of a button. Children love that the truck can also raise and lower items just like the real thing. Size H14.29, W29.21, D10.48cm. Get money off with April 2019 free Argos voucher codes, see if there's a promo code for the Chad Valley Road Rippers Garbage Truck product. Argos may be out of stock of this product. To enhance your shopping experience you may also be redirected to a search results page when you click an outbound link. 4.7/5 from 19 recent reviews.